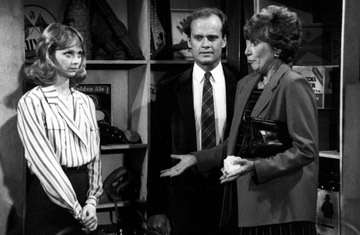 By her fifth season on the hit sitcom Cheers, Shelley Long had won two Golden Globes and an Emmy for her turn as the sharp, snooty waitress Diane Chambers. But her decision to pursue a film career as well as spend more time with her newborn baby and leave the show at its height in 1987 was probably one of the greatest career stumbles in show-business history. Though Long would appear in several semi-successful sitcoms and films (Outrageous Fortune, Troop Beverly Hills and the parodic Brady Bunch movies of the mid-90s), the attempts were far from her Cheers success. The show itself, which replaced Long with Kirstie Alley as the love interest for Ted Danson's roguish bartender, continued another six seasons; Long made it back in time for last call, appearing in Cheers' final episode, in 1993. See Shelley Long in "Top 10 Pregnant Performers."